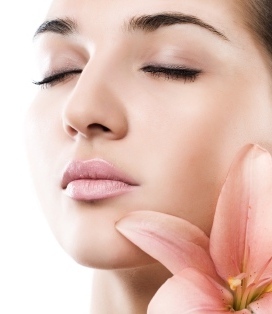 To cleanse blackheads: Make a paste of honey, oat meals and an egg. Apply this mixture to the skin (face) massage for 10 minutes then rinse with Luke warm water. Removing tan from face: Use an egg with honey as a mask on face. For glowing face: Mix a tablespoon orange juice in a cup of yoghurt, make a paste, apply it on face and keep it on face for 15 minutes then clean it with a wet tissue. It will help in glow and fair complexion. Healthy skin: Eat tomatoes, vegetables, fruits, nuts and beans will show your skin younger. For pimples: Make a paste of dry orange peal in some water or rose water. For glowing face: Mix honey in milk apply on face, it will be best cleanser to glow skin. Healthy skin: Eating fresh meal and drinking a lot of water in a day will make your skin healthy. Smooth skin: Olive oil is best to make smooth skin. Tighten pores: 1 tsp honey, 1 tsp cold milk, 1-2 drops lemon juice. Mix it well and apply on face, leave on for 15 minutes then rinse off with cold water. Cleanse face: Take a cotton wool, soak it in unboiled milk and rub it upward from chin to forehead. Quick glow: Take a potato cut a slice of it and apply on face for 1 minute. Control oily skin: Cut thin apple slices, rub it well on oily face. For pimples: Mix grated apple with little honey and apply on face for 10 minutes. For blackheads: Take some honey and warm it. Apply it on trouble areas for 10 minutes. Use this method twice a week. For chapped lips: Crush rose petals and mix it with milk cream, Apply it on your lips fro half an hour. It will lighten your lips color.